Home News & Reviews Sport Álvaro Bautista takes another triple at MotorLand Aragón. Álvaro Bautista takes another triple at MotorLand Aragón. 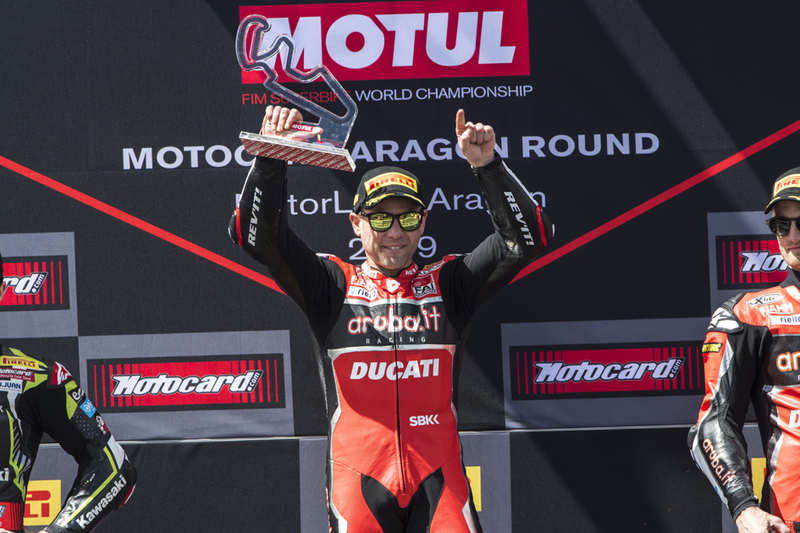 This weekend was a truly extraordinary and emotional one for the Aruba.it Racing – Ducati rider Álvaro Bautista, who with nine wins in a row continues his unbeaten run in his debut season in the production-based series. 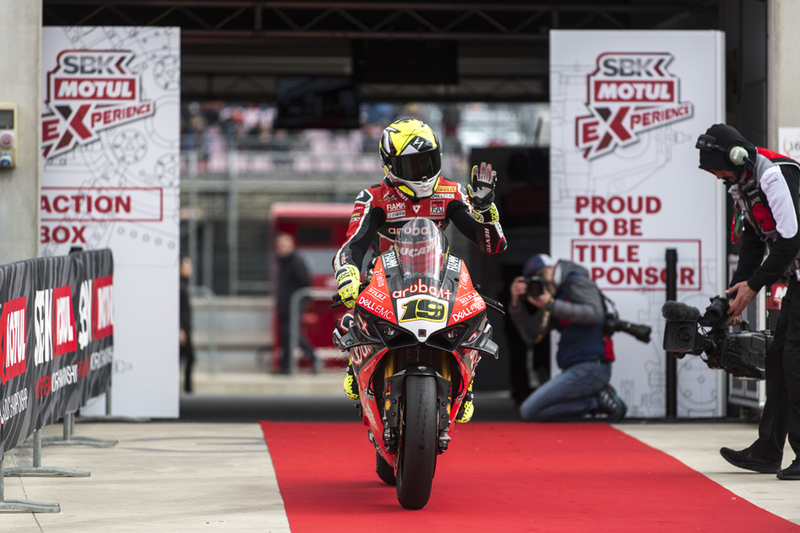 In front of his home crowd, the 34-year-old from Talavera de la Reina left his rivals trailing as he dominated both the 10-lap Superpole Race and the 18-lap Race 2 in the afternoon, winning both by a wide margin. 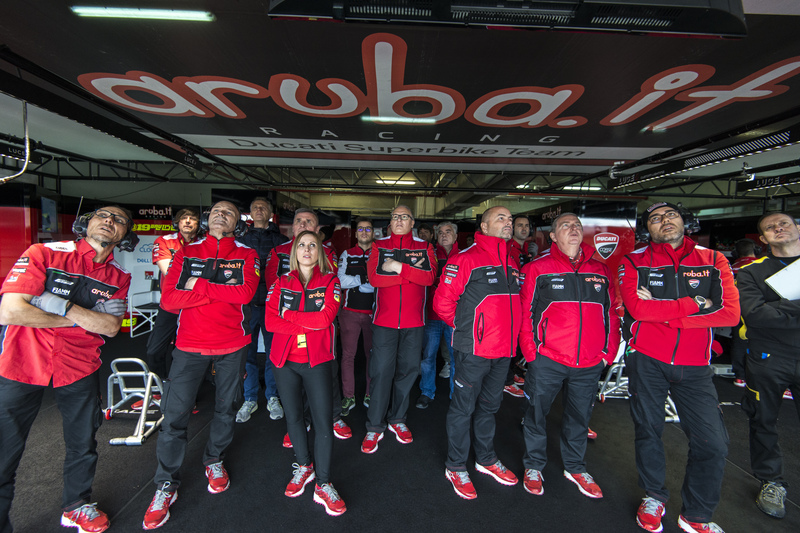 The win in Race 2 was the 350th for Ducati in World Superbike ever since the start of the championship back in 1988. 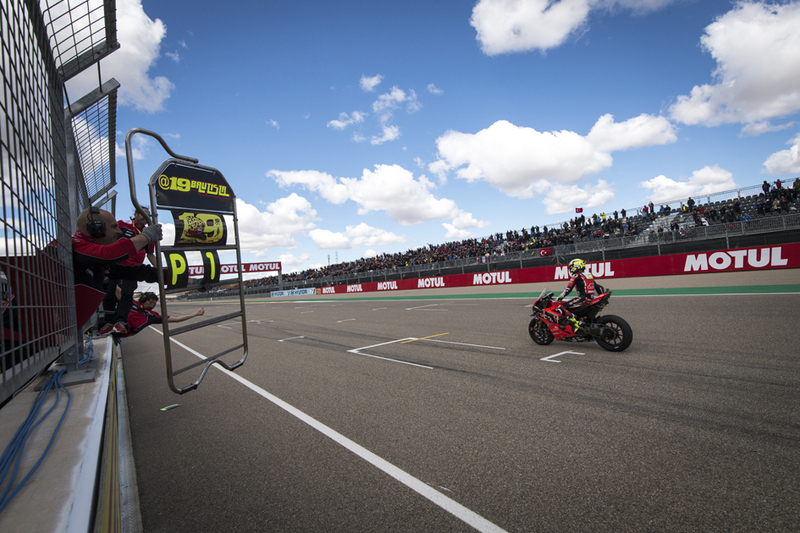 With nine wins to his name, Bautista remains firmly in control of the championship standings on 186 points, 39 more than Rea, while Davies is in seventh place on 56 points. The next World Superbike round will take place in a few days’ time on the Assen TT circuit, from 12 to 14 April.